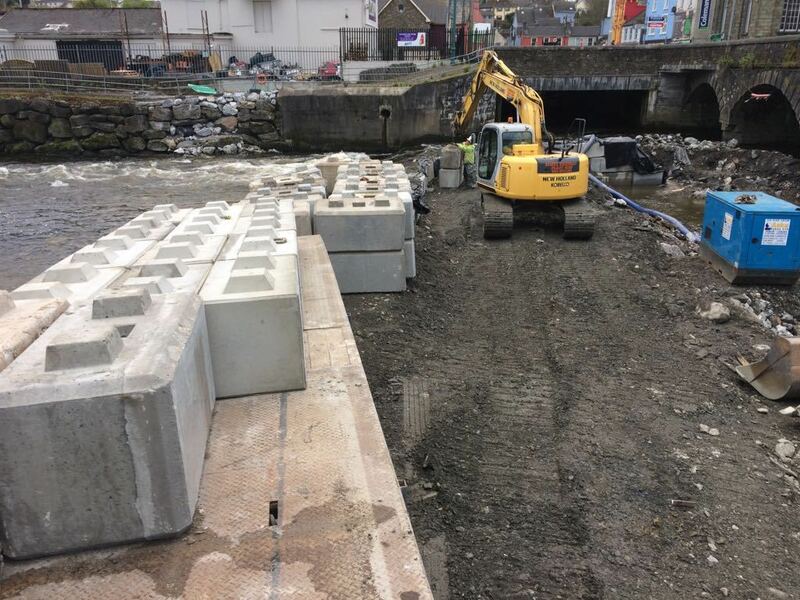 A versatile and simple solution to a wide variety of needs, our interlocking concrete blocks resemble children’s ‘Lego’ bricks in shape, and fit together in the same way. As they can be joined together without fastenings or adhesive they are effective and economical choice. They are used for multiple purposes in the industrial, civil engineering and agricultural sectors. They can be installed on any reasonable firm and level surface without groundwork. In construction projects they can be particularly effective as a temporary barrier or retaining structure, whilst in commercial and agricultural sectors they are often used for permanent or semi-permanent storage facilities. A perimeter wall built using Lego blocks is a fast and effective security barrier against all but the most well-equipped intruder. An advantage over mesh fencing systems is that they also provide visual screening. When used for the construction of recycling or storage bays, Lego blocks add a degree of fire resistance which may be helpful for insurance and security purposes. Croom are happy to offer advice and guidance on using their Lego blocks. Contact our experts for more information about these and other Croom products.